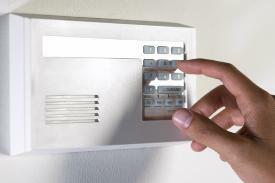 An effective intruder alarm system is an important constituent part of any automated security solution. Indeed many insurance companies now insist on the installation of an intruder alarm system in order to maintain insurance cover. Designed to detect movement within a secured area and then alert the appropriate person or authority, these systems can include the monitoring of doors, windows and internal open spaces using a variety of detection methods. To further enhance staff protection these systems can also include personnel attack buttons and staff attack and lone worker systems.